Considering how proud Kevin Hart is of the headquarters of his company, you’d think the place would be downright palatial. But it’s not. It’s simple, almost austere. It’s a series of small offices, a reception area and a conference room, and it takes up a floor of a non­descript building in downtown Encino, Calif., on Ventura Boulevard, across from a Korean BBQ joint. The rooms are sparsely furnished. There are a lot of photos and posters of Hart, of course, but otherwise there is no expensive art, no designer tchotchkes on the credenzas, no tasteful floor coverings that could fund a motion picture production. 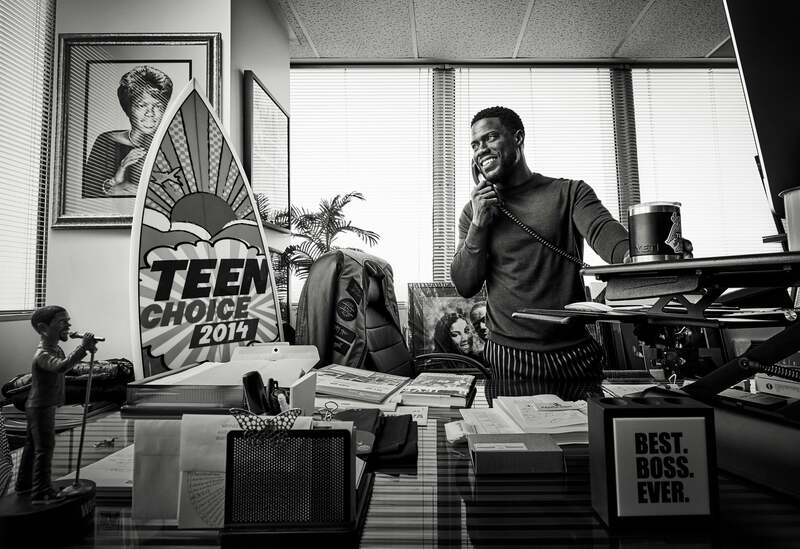 No, the thing about this office that fills Kevin Hart with such pride isn’t its appearance. It’s the fact that it’s still his. Back in 2009, when he took out a two-year lease on just a small portion of the space to house his startup, HartBeat Productions, Hart was worried he wasn’t going to be able to afford it. This was before his comedy specials became some of the highest-grossing of all time. Before his social media profile grew to near record-­setting proportions. 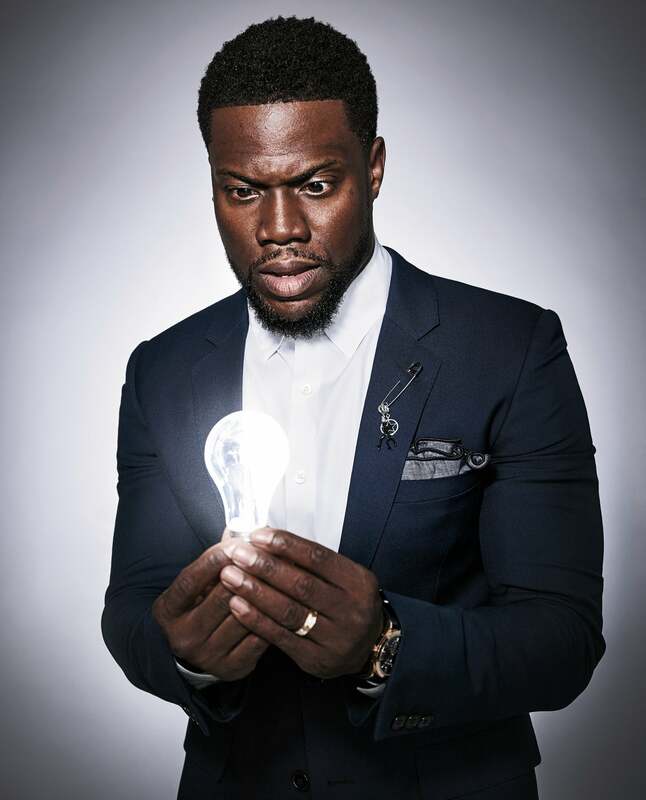 Before Kevin Hart Day was declared in Philadelphia. Before he became one of the biggest stars on Earth. But he loved the “aspirational” view from what is still his personal office, and he had a plan, drawn from a hard-earned epiphany. Historically, comedians and actors, even very successful ones, are simply cogs in a very large machine. For all the fame, and the money and the glamour, they are essentially powerless against the whims of that machine. They are the product. They do their best, work their hardest, earn what they can and at the end of the day, they’re left with fading fame and whatever money they were able to bank along the way. Hart saw this state of affairs early in his stand-up comedy career and decided to try something different. Something risky. The idea was this: Create something lasting. Something that will go on when you’re done. Don’t just show up, do your best and then go away. Don’t make money mostly for other people. Own what you do. Perfect your craft, of course, but in so doing, create a sustainable, revenue-­generating enterprise that can run profitably long after the world has had enough of seeing your face and hearing your jokes. In short, the idea Kevin Hart had, as he stood nervously in that office in 2009, was this: Don’t be the cog. Be the machine. For much of comedy’s history, someone else was making more off the jokes than the comedian. An entire infrastructure -- agents, managers, promoters, producers, investors, club owners, theater owners -- made bank off the backs of these entertainers. Comedians were traditionally paid a flat fee to perform, meaning they didn’t see a cut of the ticket sales. They did not own the rights to their stand-up specials, films or TV shows. Someone else, usually the producer, made money licensing the rights to those works in perpetuity. Comedians generally didn’t get any “back-end participation,” a percentage of the revenue generated by a film. Related: Should Entrepreneurs Start With a Reputation or an Idea? To make it big, to be seen and heard, comedians had to go through someone else, and that someone else wrote the rules, and those rules were not favorable to them. Even though this is no longer entirely the case, trappings of that old system remain. Most comedians are still in it. Hart went to the woodshed. He studied and toured and worked and got better. He started booking bigger and bigger comedy shows. He built a fan base and did a couple of stand-up comedy specials, all under the traditional rules where someone else owned all the rights. So he started talking directly to comedy club owners, asking questions about business models. He found out that many were “papering” the room -- giving away tickets to generate an audience -- and then making all their money on food and drinks. Hart didn’t mind that. If he killed, those were new fans, after all. What he wanted was a way to “build an audience that could grow with me as I grew,” says Hart. This was way before social media was ubiquitous. If you wanted to connect with a fan, you had to get their email address. So Hart did. After each show, he’d ask people for their email addresses and give them a flyer with his photo, a tagline from the show and more info about him. “Something to stay in their heads and be remembered for when I came back,” he says. He’d also drive them to the then-mighty MySpace, which allowed him to target messages geographically, to let local fans know about his upcoming shows. It worked. In the second year of his marketing push, he started seeing larger crowds at his shows in the cities he’d canvassed during his tour the prior year. He saw repeat fans. People started talking, telling him they loved his stuff. Crowds got bigger. More important, the fans were buying tickets in advance from the clubs, which boosted club revenue and allowed Hart to demand more money when he came back. “Your demand can be higher, ’cause now you’re selling physical tickets, not just food and alcohol,” says Hart. Everybody won. It’s rare for an entertainer to bet this heavily on himself. But comedians aren’t like other entertainers. They are, in some ways, smarter. They write all their own stuff. They can read a room. They are keen observers of the human condition. They must have impeccable timing, and they must sell themselves for every minute they’re onstage. They have to learn to deal with a form of rejection that would wither other types of performers -- or just about any human being. And they know how to listen. These qualities, of course, are all rocket fuel for entrepreneurs. That’s why, increasingly, comedians like Hart, Adam Sandler, Will Ferrell and Tom Segura are also founders -- starting their own production companies so they can assert control over their names, produce their own specials, tours and other products, and retain all the rights to what they make. The big difference is, unlike those performers, Hart took the risk before he had a lot of fame or a following. That’s not to say he was unknown -- he’d had success on the road, and his specials Grown Little Man and Seriously Funny had done well on Comedy Central -- but he knew the end game long before he was ready to fully play it. After taping Seriously Funny, he started touring with new material. His audiences’ reactions were big enough that he decided the stand-up special could be a huge hit. That was the moment he decided to try doing it himself. In 2009, he created HartBeat Productions, rented the Ventura office space and invested the money he was making on that tour into producing a special himself, named Laugh at My Pain. He would own it outright, retaining all the rights. It cost him $700,000. The gamble worked. Released in 2011, the special, Laugh at My Pain, has since earned almost $18 million. “I think it was a pivotal moment in comedy,” says Clanagan. And it was certainly the pivotal moment in the career of Kevin Hart, who became not just a star but a successful businessperson all at the same time. “If Kevin wants to do something, he’s not afraid to invest in himself, because he understands what his brand is. You couldn’t go to 90 percent of the people in Hollywood and ask them to invest in their own movie,” says Clanagan. Around this time, Hart’s movie career was also taking off -- as he had anticipated when he doubled down on his comedy work. 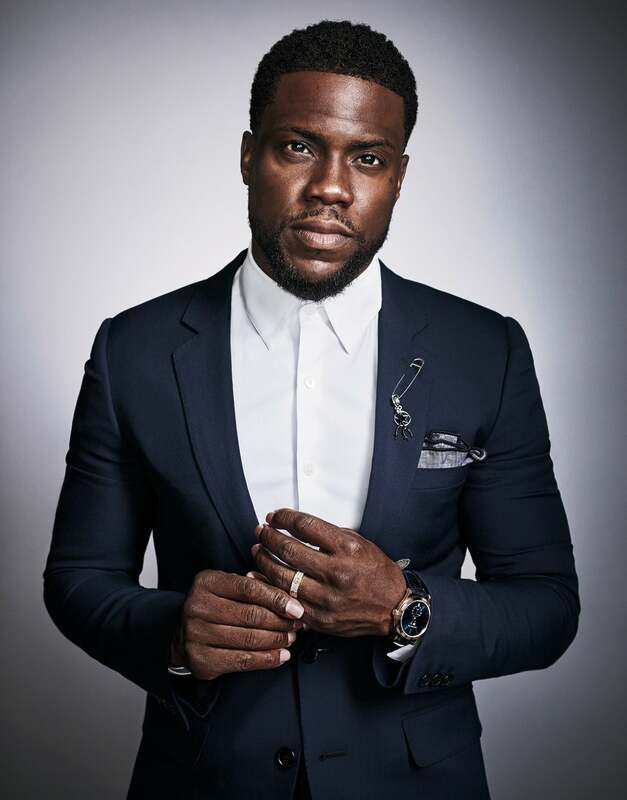 He got lead or supporting roles in Think Like a Man, Ride Along and The Wedding Ringer, among others. The next logical place for him to put his money was on film and TV production. That way, as his star rose, so would the fortunes of a production company that got a piece of, or owned, his movies. First, Hart needed to show that his production game was strong. So he took the profits from Laugh at My Pain and bought back the rights to his previous specials, and began repackaging and redistributing them. He also used the profits from Pain to make two more blockbuster stand-up specials that were released theatrically, produced, and owned by HartBeat Productions. Let Me Explain, released in 2013, grossed more than $32 million, and 2016’s What Now? grossed $23 million. So in 2017 he launched Laugh Out Loud (LOL) Network, a joint venture with Lionsgate, to create digital comedy content. Today, the programming includes original scripted and unscripted series, like Cold As Balls, sponsored by Old Spice, in which Hart interviews sports celebrities in an ice bath, and Kevin Hart: What the Fit, sponsored by Bengay, where Hart attempts -- with varying levels of success -- obscure sports with celebrity friends (think: Conan O’Brien and sumo wrestling). LOL is also producing stand-up specials, live broadcasts and special events for other comedians, both known and unknown. The content is currently free, but Hart plans to turn it into a subscription service this summer. The company has a number of advertising and branded content deals and reports that its content has been viewed, collectively, more than 50 million times. At the end of 2017, Hart’s focus on growing his companies’ portfolio -- coupled with his exploding box-office success (Jumanji, in which he co-stars, just set domestic box-office records for Sony) -- paid off big. HartBeat announced it was doing a two-year, first-look deal with Universal Studios, which had previously produced many of Hart’s films. This means that Universal gets first crack at acquiring any projects that HartBeat’s 12 full-time writers, producers and support staff create. The first produced movie, Night School, written by and starring Hart, will premiere in September. Universal will own the film (with some HartBeat back end), but more important, Night School will serve as the first major picture in the HartBeat portfolio. Moreover, in addition to the current projects that Hart’s various companies are producing that star him, there are a number in development that don’t, part of his long-term plan to create something that can be sustainable independent of him. The only question now is: Can he do it? Those closest to Hart obviously say yes. “I’ve never seen such a mixture of raw talent, work ethic, positivity and kindness” in an entertainer, says his manager, Dave Becky. And as I hang out for the day at Hart’s office, his drive seems clear as well. Hart is here most of each week, and as engaged as any executive. During a staff meeting, he shows a seemingly encyclopedic knowledge of all the writers and directors who are up for consideration on various projects. If a project has a script, he’s read it. As the conversation jumps from one project and topic to the other, he points out details great and small. His assistant discreetly passes him messages on Post-it notes during the meeting, on which he quickly jots an answer and hands them back. At one point, John Cheng, HartBeat’s new president of film, explains that a scriptwriter Hart likes for a project isn’t available. His agent won’t bring him the project unless it’s offered exclusively. Hart, as a writer, bristles at this -- he doesn’t like the idea that someone else is making decisions for the scriptwriter without his knowledge. “He should at least have the option to decide,” says Hart. He then crafts a sort of brilliant plan (which was off the record) to keep both the writer and the agent in the loop without making anyone feel slighted, disrespected or stepped on. What’s surprising -- for most executives and also, frankly, for the industry he’s in -- is Hart’s awareness of the impact his decisions will have on people. He discusses and analyzes with his team how the company will approach various conversations, some difficult and some mundane, to ensure they are respectful to all involved. He has a keen sense of what the reactions will likely be and how to mitigate them. That was especially true in September 2017, when Hart had one of his toughest professional moments. He’d received an alleged extortion threat related to a tape that purports to show him engaged in sexual activity with another woman -- while his wife, Eniko Parrish, was pregnant with their first child. Rather than pay blackmail, he owned up publicly to what he calls “his dumbest moment.” It was splashed all over the gossip and mainstream media, and it couldn’t have come at a worse time -- smack in the middle of #MeToo outrage, the press tour for Jumanji, and filming of Night School. It could have been a PR disaster for both the film and his fledgling company. But it wasn’t.